Market statistics on your area. Keep up to date!! Originally from Washington State I relocated to Las Vegas, Nevada in 2004. My intentions were to complete my degree in Marketing at UNLV, then move to California. I finished my B.S. in Marketing and along the way found great people in Las Vegas and fell in love with the city. What do I love about Las Vegas? The restaurants. The entertainment. The weather, 300+ days of sunshine per year. The cost of living. The pools. The culture. The vibe. The outdoor activities both in the inner city and just a short drive outside the city. Lately, the growing sports industry in Las Vegas has added to all the excitement! There’s just an energy here. Anything can happen! Prior to real estate I had a couple of other professions. All have contributed to my real estate success. For Microsoft Legal & Corporate Affairs I managed legal documents among world class corporations, making me the ultimate choice to oversee the legal aspects of your home sale and/or purchase. During my time at MGM Resorts International as an Assistant Procurement Manager for Corporate Strategic Sourcing I wrote large purchase contracts and strategically negotiated pricing, which helps me immensely in negotiating purchase agreements for sellers and buyers. As a Staff Accountant at Mandalay Bay Resort & Casino I created the daily P&L and balance sheets for the mega resort, which makes me the best person to understand vital real estate numbers. 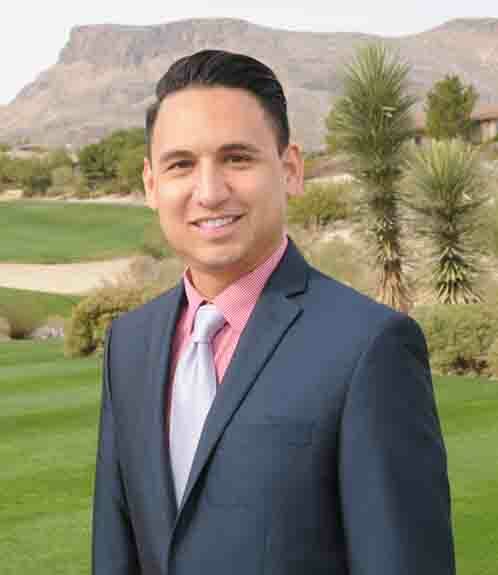 I then moved into a completely different position at Mandalay Bay Resort & Casino as a host which makes me the perfect fit for working with people from all backgrounds. Real estate is my passion now. My clients are those needing assistance with an in-town move or they are relocating to the greater Las Vegas area from all over the world. They are selling/buying condo’s, townhomes, single family residential homes and luxury real estate. I’ve earned three distinguished real estate designations. CRS – Certified Residential Specialist, SRS – Seller Representative Specialist and RESA - ReaI Estate Staging Association. I'm also a member of NAR – National Association of Realtors, NVAR – Nevada Association of Realtors and NAREB – National Association of Real Estate Brokers. I’ve also earned awards from Berkshire Hathaway HomeServices Nevada Properties for selling six-plus million in real estate sales last year. I’m also being recognized in the Berkshire Hathaway National Convention Presidents Circle for my production as an individual agent. I strive to provide excellent real estate service and advice. I welcome you to visit my Zillow page and checkout my client reviews. Thank you for your valuable time. I welcome the opportunity to get to know you as well. Tell me, how can I help you achieve your real estate goals? "As first time home buyers, we were nervous about the entire process. It seemed very overwhelming, until we met with Rich. ~ E. Bean via Zillow"